Read Brianna Bullen’s review of Reading for a Quiet Morning, in Plumwood Mountain, An Australian Journal of Ecopoetry and Ecopoetics, February 2018. 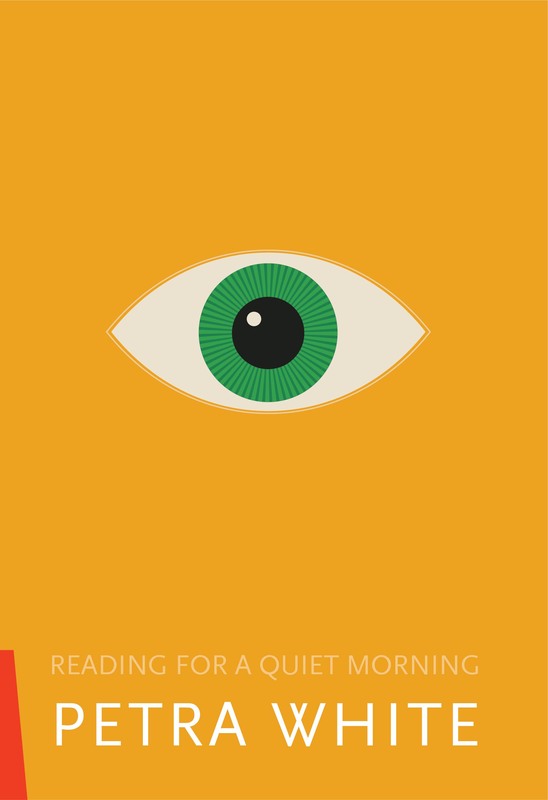 Read Ivy Ireland’s review of Reading for a Quiet Morning, in Cordite Poetry Review, November 2017. Congratulations to Petra White on Reading for a Quiet Morning being Highly Commended in the poetry category of the Victorian Premier’s Literary Awards 2018. Reading for a Quiet Morning was launched on the 16th of May 2017 in Melbourne. Read the Launch Speech by Gig Ryan. • from How the Temple Was Built: Prophesy against the King of Tyre, God says. Petra White’s poetry is distinctive for its sharp and unusual imagery, its authoritative expressions of the inner life and its existential preparedness and irony. At the heart of this book, her fourth collection, is mythic imagination and narrative. The ancient Book of Ezekiel is the source for a compact epic, “How the Temple Was Built”. Playful in its invention, this poem is terrifying and poignant. The Bible account is reinvented through a secular and feminist lens, touching on familiar concerns of war and displacement. The old epic tropes – love, death, faith, despair – drive this story. White’s myth-making and character-making explore the limits of being human and the limits of being a god. This is followed by a sequence of lyric poems that open up to almost iconic stillness – thirteen “Landscapes” examining human solitariness. They feature a spread of figures from ancient to modern, having at their centre a powerful triptych on the Oedipus myth. Reading for a Quiet Morning, which also includes several spirited versions of Rilke, and one surprising poem in her personal style, is Petra White’s wisest collection so far.